In South Texas, the Friends of Laguna Atascosa National Wildlife Refuge recently won an award from the U.S. Fish and Wildlife Service. The 2013 Southwest Region Friends of the Year Award was given in recognition of the Friends’ conservation efforts, especially those efforts aimed at protecting the ocelot, an endangered species of wild cat. Far to the north, in Western Pennsylvania, volunteers are helping out another type of animal species: frogs. Volunteers are currently being trained to listen for and identify frog calls from the area’s thirteen species of native frogs. This is part of a nationwide citizen science effort aimed at collecting data for the Association of Zoos and Aquariums and their FrogWatch USA program. Collected data will help agencies to monitor amphibian populations, which can provide important data related to an area’s ecological and environmental health. While those volunteers were listening for frog calls, volunteers in San Francisco have been counting an even smaller species, monarch butterflies. 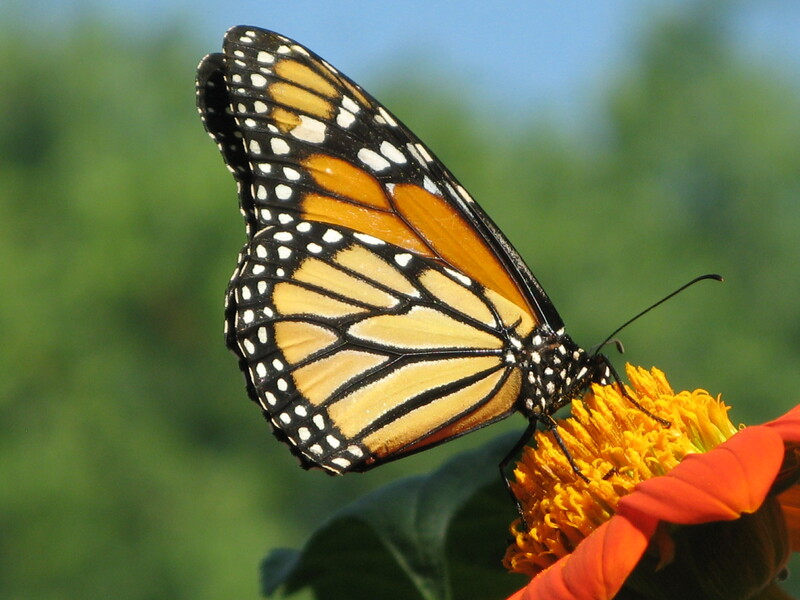 Monarch populations have been decreasing for a number of years but butterfly counts on the west coast, often performed by volunteers, recently indicated a slight reversal in the trend as populations actually increased slightly. As this article from Bay Nature describes, volunteers in San Fransicso and across the state are essential in making events like the Western Monarch Thanksgiving Count a success year after year.